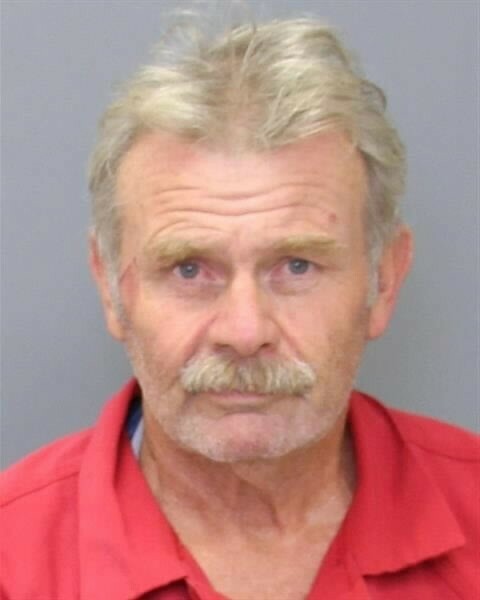 A Deputy State Fire Marshal has arrested a Nanjemoy man who intentionally set fire to a one story single family dwelling in Nanjemoy. The residence is owned by Stephen Stone. On Saturday, November 3, 2018, at approximately 10:26 a.m., approximately 35 firefighters from Nanjemoy Volunteer Fire Department and surrounding departments, responded to a one alarm fire located at 12085 Woodbury Road that caused approximately $200,000 in total damages. It took firefighters approximately 20 minutes to bring the fire under control. No injuries were reported as a result of the fire. No one was home when the fire occurred and therefore, it is not known if smoke alarms activated. As a result of the investigation by the Maryland State Fire Marshal’s Office, it was determined that the origin of the fire was at the side entrance to the home and the cause was incendiary. It was also determined that Stephan Anthony Mayr, 60, of 12095 Woodbury Road, in Nanjemoy, intentionally set the fire. Mayr was charged with Arson 1st and 2nd Degree, 1st Degree Burglary, 2nd Degree Malicious Burning, Theft less than $100 and two counts of Trespassing. He was transported to the Charles County Detention Center by Charles County Sheriff’s Office after being charged by them for Resisting/Interfere with Arrest, Obstructing Fire Marshal Investigation and Trespassing on Private Property. The Office of the State Fire Marshal’s Bomb Squad and the Prince George’s County Bomb Squad also assisted with this investigation. This entry was posted on November 5, 2018 at 11:17 am and is filed under All News, Charles News, County, Fire & Rescue, Law Enforcement, Top News, z 600X120 Top Ad Bottom, z Police Ad Top. You can follow any responses to this entry through the RSS 2.0 feed. did he set his neighbors house on fire? That is what the Charles County Sheriff’s Office allege. This guy is a menace to society,look at his case search that will tell you all you need to know. Destroyed all that for what……”Theft less than $100″. This is one retarded fool. I who him. He sells the chicken. You need some serious English classes. Either that or wipe off that chicken grease so you don’t fat-finger your keyboard. I dint do nuttin. I tripped an fall on da step. dint mean to burn anytang.